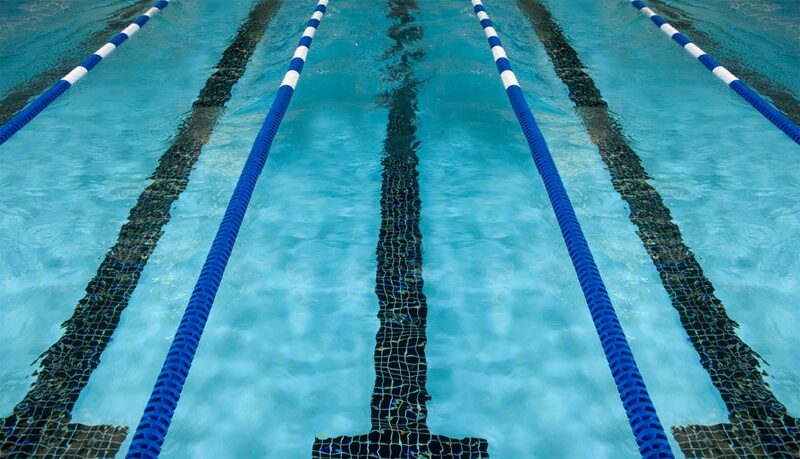 The snowy weather had lifted slightly in time for the Sunday session and the last chance for the age 14 and under swimmers to make their mark on this years Hampshire ASA County Swimming Championships. 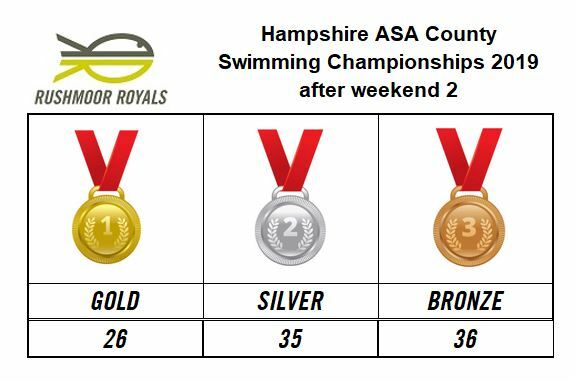 Rushmoor Royals attacked the last two sessions with even more passion than ever taking trebling the number of gold medals for the weekend compared to those taken on the Saturday. As will be seen below, there were just far too many medals awarded and personal best times set in order to name check everyone so instead we shall just focus on the new Hampshire County Champions. First up in the morning in the Boys age 12 200m Freestyle even was Theo M who had already won a string of silver medals and again was up against his arch rival from Jersey. In what was probably one of the closest fought battles of the weekend it came down to just 0.25 seconds to split the two of them with Theo taking home his first individual gold of the Championships. This performance must have given Theo the confidence boost he needed as he went on to take another two titles in the 200m Butterfly and the 100m Freestyle events. Poppy E then completed the clean sweep of the Breaststroke events in a dominant performance with team mate Francesca P also taking more titles of the second day in the 200m Individual Medley and 200m BackStroke events. In the older age groups Rosie R showed everyone that she is not just a freestyler by taking the title in the 200m Individual Medley followed by further gold medals in the 100m Butterfly and 100m Breaststroke events (as well of course, the 50m freestyle) to take a total of six individual titles during the Championships! Finally, Ella S left it to the very last session to battle harder than ever to win her first age 14 County Championship in the 200m BackStroke after taking a further 12 (twelve!) silver and bronze individual medals across the two weekends. The excitement in the stands was incredible as she finally nailed that long awaited gold medal. This left the club as a whole with the following medal totals after the second weekend of competition with the final weekend to follow back at the Portsmouth Mountbatten Centre for the 15 years and over swimmers next weekend.